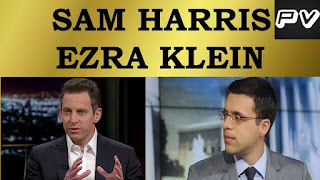 Sam Harris (new atheist and hyper-rationalist) & Ezra Klein (Vox editor) recently sat down to hash out some simmering arguments between them. Harris was upset that controversial science topics are becoming taboo. This prevents people from knowing how to deal with uncomfortable facts which will certainly emerge in the course of natural human scientific inquiry. He was tarred by Vox, social progressive anthropologists, and voxsplainers as a pseudo scientific structural racist. As you can imagine the debate didn't go well. It was a fairly big train wreck. Here's my analysis of why. Harris has a tendency to be very verbose. This prevented any meaningful back and forth from occurring. Harris would make a good point, does non-african Neanderthal DNA make any noticeable difference in traits? Just because there are differences that doesn't imply any moral value statement about difference. But rather than leave things here, he would go onto pontificate for another 5 minutes. This clouded arguments, and meant Klein never had to directly engage with major points. Worse yet, Harris tended to end his diatribes with fairly moral based reasoning. Klein easily one-upped Harris on this front. Klein always kept the moral high ground. It was a disaster for Harris. If you lived through the new atheist movement there is more than a little schadenfreude here. Harris fell back on moral argumentation. However this time, audience and society sympathy was for his opponent rather than against him/her. I don't think Harris may have realized how much of a difference this might make in appearances. He certainly was aware how radioactive the topic of race & inheritance is, but he probably thought the fight to disentangle morals from data rationality was worth it. Good on him for trying. But this disentanglement is one of the major critiques of Harris' hyper-rationalist movement. Because religious-like dynamics in social confrontations work, they are very unlikely to be forsaken. Harris seemed to view Klein's unwillingness to concede this frame as an act of ingenuineness. This was one of Harris' bigger mistakes. Klein was saving people from eugenified scientism. Harris was attacking them with it & telling them these attacks were for a greater good. This is always a losing argument. Harris just seemed unable to leverage his usual argument trains to handle the novel landscapes Progressive intersectionalized quasi-religion operates within. Klein came across as policy and people oriented rather than as a scientific denialist & sacrilist. 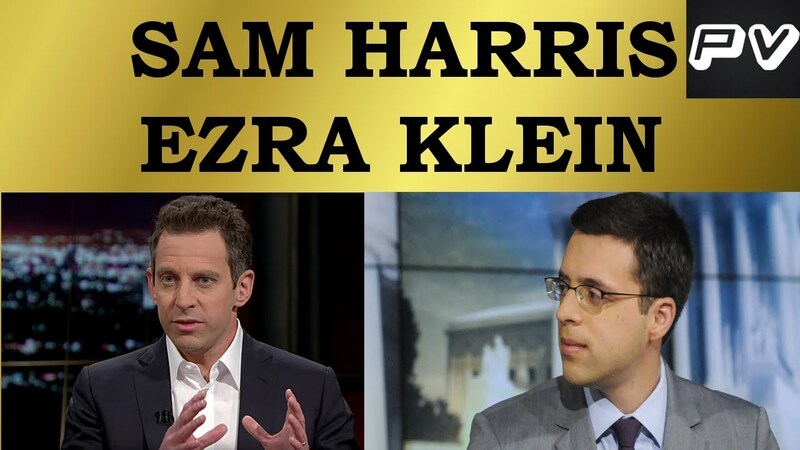 To me, Klein's arguments were much more appealing than Harris'. Racial conversations are toxic. Punching down (whether intended or not) comes across as horrid. Harris could have avoided this by purposefully avoided the White Black frame as too loaded and counter-productive while still hitting every point of science he wanted by using the Asian White frame. None of Harris' arguments would have changed. But it would have prevented much of Klein's sympathetic moralizing. Harris would have been "elevating" Asians rather than denigrating Africans. Harris is going to learn a painful, Murray-esque, lesson here. While I do feel sorry for him - I in no way think he is a racist - it is interesting seeing Harris loaded with some of the aspersions he has cast on religiously oriented folk over the years. While I strongly suspect he tries to avoid this, thinking he is tackling the rationality of religious positions, the dynamics he has fostered around religiosity seem very similar to the slimes he got from Klein. Mistake #5: The Compartmentalization Required by Hyper-Rationalism May Be Functionally Impossible. This seemed to be Klein's main point. You can never get away from the legacy of how racial data has been used. When you bring it out into the open, you are responsible for the abuses that come from removing its well-deserved taboos. Humbly learn from Critical Theorists and Intersectionalists. Figure a world view that accommodates gradual declines in religious "irrationality". Magically learn how to win a no-win fight against progressivism's moral high ground. While I didn't watch the first Jordan Peterson - Harris interview train wreck, I have been impressed by how Harris came back from the totality of that and his second interview with increased awareness of the strength of Peterson's positions. I suspect he will eat humble pie and learn from the Klein disaster. But ultimately he may have to learn how to accept the rhetorical and popular strength of moralized religious-like thinking. But, he certainly may not. Aspergery people are like that. He might view hyper-rationalism as a hill worth dying over. Perhaps Eric Weinstein can convince him otherwise. But it is certainly easy to see why Harris views Charles Murray's predicament as so relevant to his own hyper-rationalist quest.